The Pet Safety Seat utilizes Safe-T-Core™ technology, a rigid internal structure that integrates with the vehicle seat belt to provide added security for your pet, and installs securely in one minute in the front or back seat. The design has been crash tested in a DOT-approved facility, and the included strength-rated safety tether has been tested to 2,000 lbs! 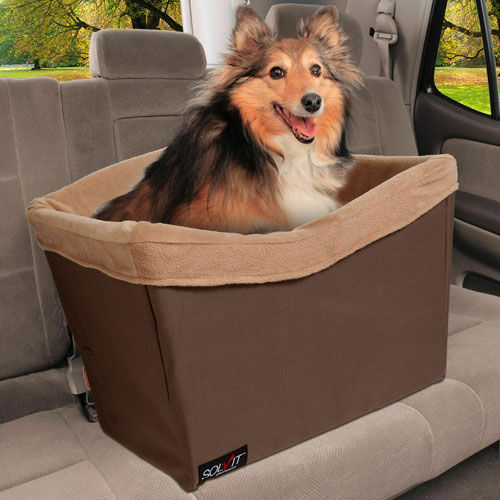 The Pet Safety Seat has a roomy, fully padded interior that gives your dog (or dogs!) room to relax. The inside floor of the basket is nine inches above the vehicle seat so pets can easily see out while traveling. And, unlike foam-based booster seats, the Pet Safety Seat will not trap odors; it cleans easily to stay looking and smelling fresh. Inside: bottom: 18” wide x 14” deep – top: 19.5” wide x 14.5” deep – sides: 8” tall. Outside: 22” wide x 17” tall x 17” deep. 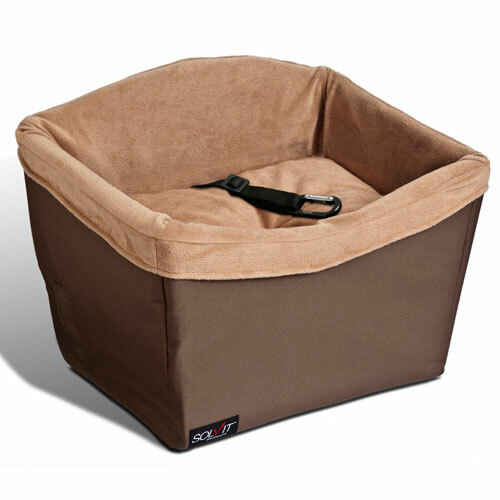 Suitable for one or multiple pets up to 30lbs.